“They said Glenn Burke weighed 100 pounds when he died,” he says, his eyes narrowing on the floor. The sun is setting in Oakland, and the shadows in Mike Norris’ third floor apartment are stretching out on the beige carpeting. It’s a Thursday, and both of us are sitting here, as we’ve been most weeks for the past six months, talking about baseball. (I’ve written about some of those conversations here and here.) About what it feels like to pitch a 14-inning complete game. About breaking a calcium deposit off of a pitching elbow mid-inning. 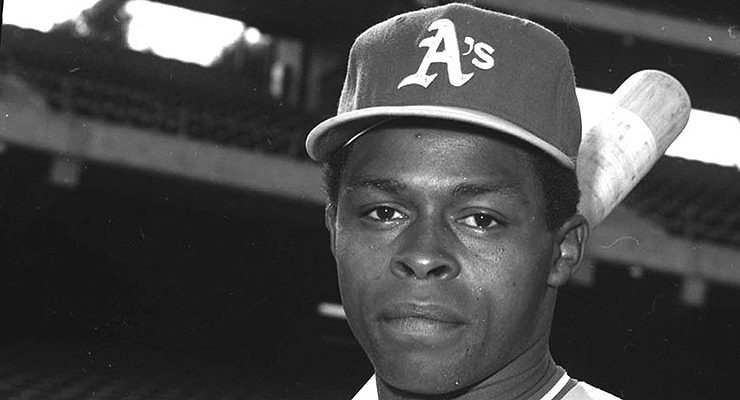 About memories of a gay ballplayer, Glenn Burke. Why him? Why did Mike Norris come along during the time of some of the most pressing issues in baseball, and get to play alongside names like Henderson, Fingers, La Russa and Burke? If you believe in a certain randomness in the universe, the answer is luck, or, if you’re a godly person, the answer is fate. Mike’s views trend toward the latter, and he believes that he was given certain gifts and experiences to use for good. 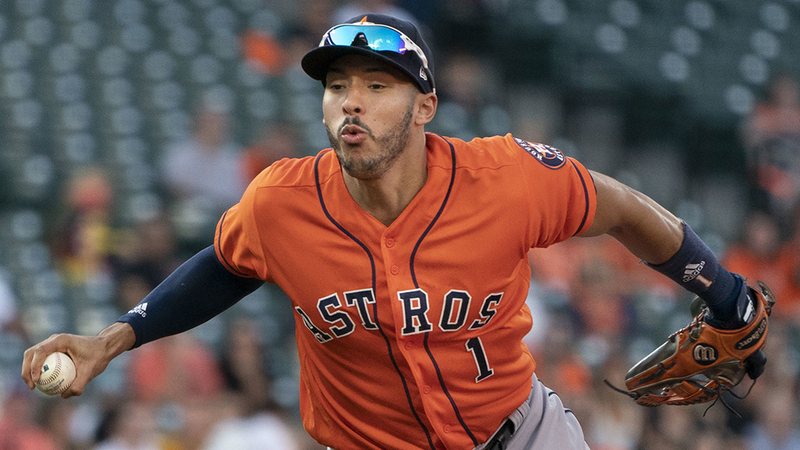 After an up and down career — highlighted by the cruel duality of almost winning the Cy Young Award and being out of baseball four years later — the use of those gifts has now taken on a different tack. Facing a degenerative nerve disorder that makes it difficult for him to walk, Mike is being tested; by the universe, by God, by society, or all three. He even goes so far as to say that this is his punishment for wasting his youth and talent on drugs and diversion. His focus now, if asked about it, is helping the at-risk youth of Oakland. For that reason and many others, Mike and I often find ourselves discussing issues of inequality and discrimination. Inevitably, those issues feed back into baseball, and topics like Glenn Burke. He pauses for a sip of tea. I ask him if he kept in touch with Burke after he left the A’s. Mike’s stories of Burke all have a common theme: a distant camaraderie. They highlight the silent struggles of a gay ballplayer in a system not ready to accept him. First out of the showers and clubhouse after a game, Burke would later find his only friend on the team in Mike. “One night, two girls are in to my hotel room. Glenn knocks on the door, and he comes in, and he stops when he sees them; he can’t just turn around and walk back out. I said, ‘Hey Burkey! Come sit down, have a seat, let me introduce you to my friends.’ And I introduced him, and he spoke to them for a minute, and then he pulled out his music,” he says. The stories Mike tells of Burke are, at once, heartwarming and sad; there is an uneasy juxtaposition between hearing about the person Glenn Burke was — funny, warm, and preternaturally athletic — and the disconnect he must have felt from his team and sport on a daily basis. An outfielder newly traded from Los Angeles in 1978 (by many accounts because of his sexual orientation, and his relationship with Tommy Lasorda’s gay son), Burke struggled through a year and a half with the A’s. Coming into spring training in 1980, he had almost no chance to make the A’s major league team under new manager Billy Martin. By this account, Burke’s knee injury early in spring training of 1980, along with his falling production, gave Martin the excuse he needed to send Burke to the minors full-time once the injury healed. After just 25 games in Ogden, Utah at the start of the 1980 season, Burke was done with baseball. Derek Bryant batted .342 and .303 in 1980 and 1981 in Triple A, but he never did get another call to the big leagues. All of this, of course, leads to a conversation Mike and I have had countless times: is baseball now ready for an openly gay player, after what Burke went through? With LGBTQ issues trending in a distinct direction nationwide, most major league teams have hosted Pride Nights, including Mike’s hometown Oakland A’s a few weeks ago. At surface level, baseball teams have trended in the same direction as their respective communities with respect to LGBT issues: this isn’t surprising, as Pride Nights are usually the culmination of work between a team and a local independent group. There is a notable difference between most Pride events and other themed/heritage nights at ballparks, however. Most Pride nights are treated like a group ticket sale event and not a team-led initiative, leaving most of the organization of the actual night to the outside independent group instead of the team. There are exceptions, such as in the case of the San Francisco Giants, but for the most part this is not a case of teams even coming up with the idea for the event; an outside group approaches a franchise, and the process moves forward from there — the way a corporation that was interested in bulk tickets would be treated. In the case of those teams for which I couldn’t find any evidence of previous Pride nights or other LGBTQ outreach, I called each front office individually to verify no such event had occurred. In almost all cases, I was routed through multiple individuals, and finally to a marketing or media relations point of contact. One team said it was actively discussing the possibility of a Pride night. Another said the team would like to hold such an event, but was certain season ticket holders simply would not accept it. Most calls went to voicemail, with no return call to messages. This brings us to the final question of whether baseball is ready internally for a gay player. In an oft-cited ESPN the Magazine survey from March of 2014 — which canvassed about 20 percent of major league players — 81 percent said baseball was ready for a gay player. Whether that figure represents the sort of atmosphere conducive to a player being comfortable coming out is another story. The situation, as it has been in other sports, seems to be one in which a singular player is going to have to break the ice, shouldering the full brunt of the media reaction and testing the waters of clubhouse dynamics. Glenn Burke tried, as much as he could, to be that pioneer. Baseball and society weren’t ready for him, and in the end he was more or less driven from baseball because of it. His story is made all the more sad to the baseball community because of his immense promise as an athlete, but his experience in the margins of society as a LGBTQ person of color is not unique. Burke didn’t help his own image after he left baseball, engaging in a spiraling drug habit in the years after he left the Athletics. While walking in San Francisco during 1987, a car hit him, severely injuring his leg and precipitating a downward spiral from which he never fully recovered. His body sapped of its former athleticism, he turned increasingly toward drugs, and his relationships failed as his problems escalated. He spent multiple stints in jail, growing sicker with AIDS, until he found himself homeless and dying on the streets of the Castro district in the early 1990s. Mike didn’t witness this final turn for Burke, last encountering him on the streets of San Francisco many years before his death. There is a beauty in that just as there is a sadness, a memory colored by what was and not what culminated. His legacy is framed similarly, as a story of what could have been, not what actually was: that framing is a failure to Burke and his community. On top of a wooded hill, just at the end of a street lined with single-story cafes and shops, is Mountain View Cemetery. Looking west from its elevated upper reaches, the city of Oakland unfolds onto San Francisco Bay, and on clear days, the bright peak of the TransAmerica building can be seen above its famous city. It’s here, just a 15-minute walk from Mike’s neighborhood, that Glenn Burke lies. It’s the afternoon of a brilliantly sunny Friday when I visit his grave. By simple coincidence, it is also the day of the Supreme Court ruling in favor of gay marriage. Nearly 20 years have passed since Burke died at 42 from AIDS-related complications, and it’s been almost 30 since he was homeless on the streets of San Francisco, an afterthought in the minds of the professional baseball community. I leave the car on the road, and walk slowly between the neatly-kept plots on a small hill above the crypts and tombs of the original families of Oakland. With so many graves, it takes me some time to find him; I make my way from row to row, my only companion the faraway sounds of children playing at a nearby school. When I do find him, his headstone is an unassuming yet strong small piece of black granite, sunk into the tidy grass. About a hundred feet away toward the road, an American flag flies atop a flagpole that looks out over the Oakland hills. I imagine how Glenn Burke would’ve felt about the events of this particular day. Would he be proud of how far we’ve come? Would he remind us of how far we still have to go? Later, sitting in the car, I think about the stories Mike has told me about Burke: the jokes, the nights on the road listening to Funkadelic, the turn of a head to hear the sound of a door closing — like clockwork. I look over to the hillside with Burke’s grave, remembering Mike’s words from the week before as the last light died in his apartment. “I wish you could have met him,” he said to me. Owen Watson writes for FanGraphs and The Hardball Times. Follow him on Twitter @ohwatson. ESPN’s 30 for 30 series had a great short film about Burke, about ten minutes long, a little while back. The first third or so of the film dealt with his outgoing personality on the ’77 Dodgers, and how he was the one who started high-fiving players after a home run. Dusty Baker popped throughout the film about how Burke was the one who made it commonplace, and, IIRC, didn’t take too kindly to how Burke was ostracized by the Dodgers when they traded him to Oakland in ’78. ESPN’s 30 for 20 short film series had a short film a little while ago, about ten minutes, about Burke, and spent the first third of the film or so about how he brought the high-five to MLB after a player would hit a home run. Dusty Baker popped up throughout the film and, IIRC, didn’t like how the Dodgers ostracized Burke when he was traded to the A’s. I’m sure the interview was conducted earlier in the year, but May 30 was the 20th anniversary of Glenn Burke’s passing. RIP to an incredible athletic and social pioneer. Posted w/o proof reading–sorry–it’s Glenn not Glen. I apologize to the late Mr Burke for that. And–was trying to say note the improvement of the WAR in Oakland’s OF as posted in a comment above mine. And to clarify–if a Mays or Aaron talent came along–they would be rostered, but the awkwardness would not be much different than back in the late 70’s–just less overt. Even Obama found that out in his triumphant return to Kenya when they more or less told. him to keep his LGBT opinions to himself. If those statements make me un enlightened–well–ok.